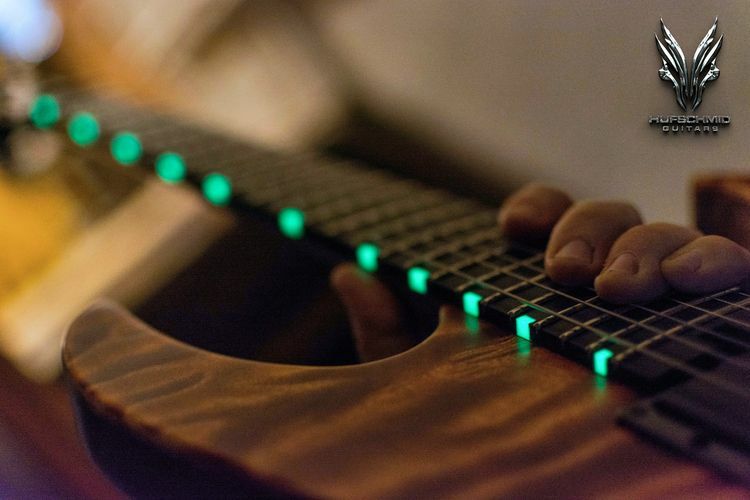 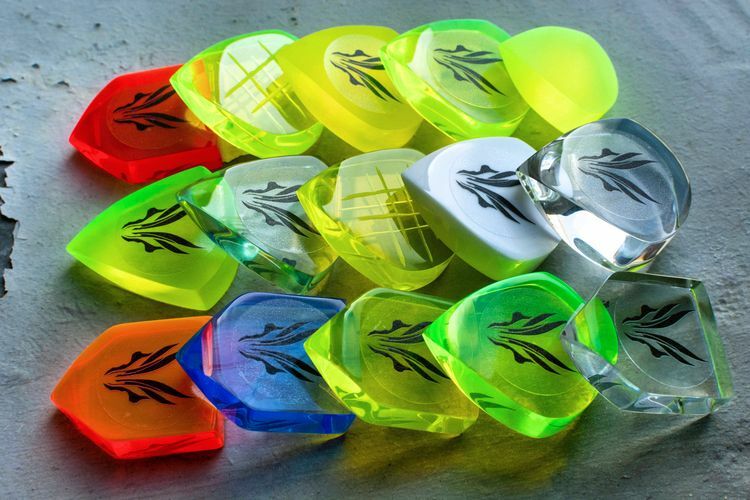 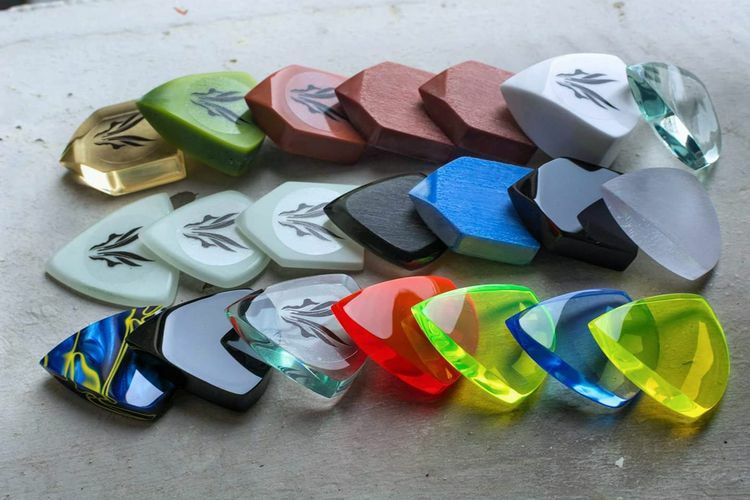 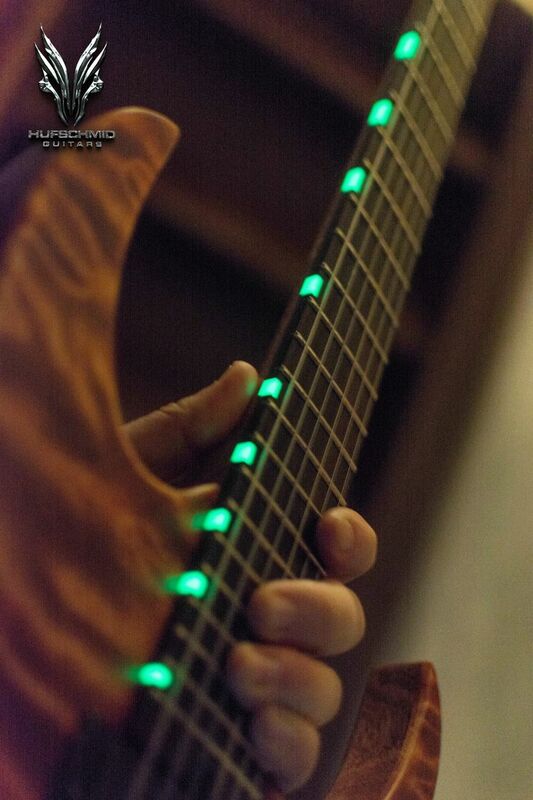 Exclusive &apos;HufGlow&apos; fingerboard block inlays in the dark! 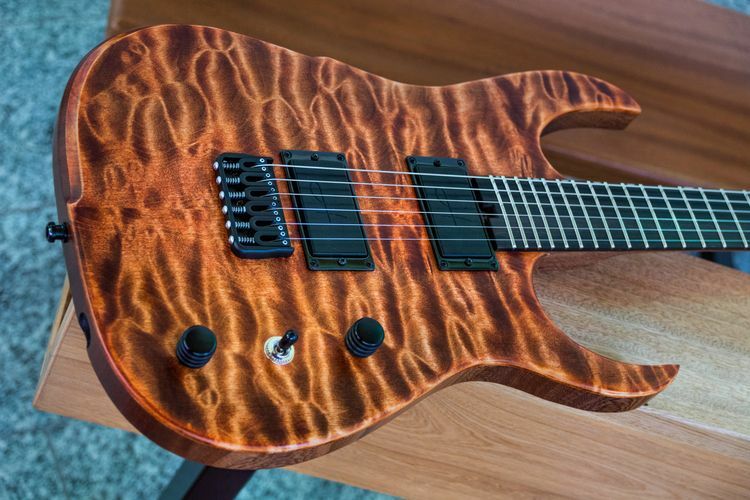 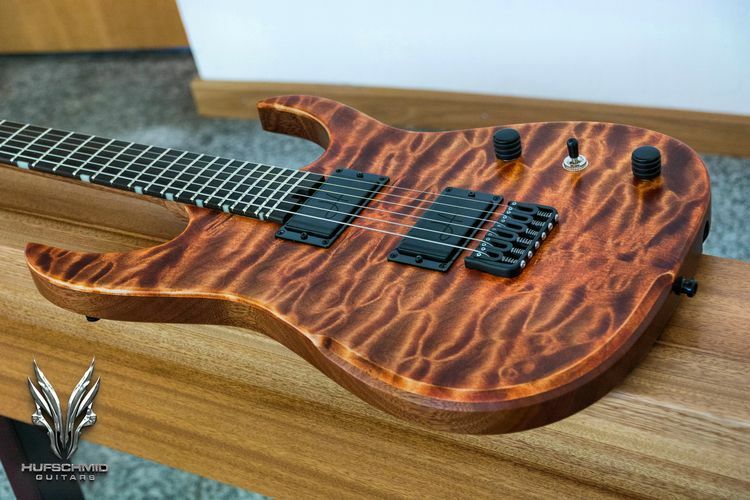 Hufschmid &apos;Tantalum&apos; model featuring a highly figured quilt maple top! 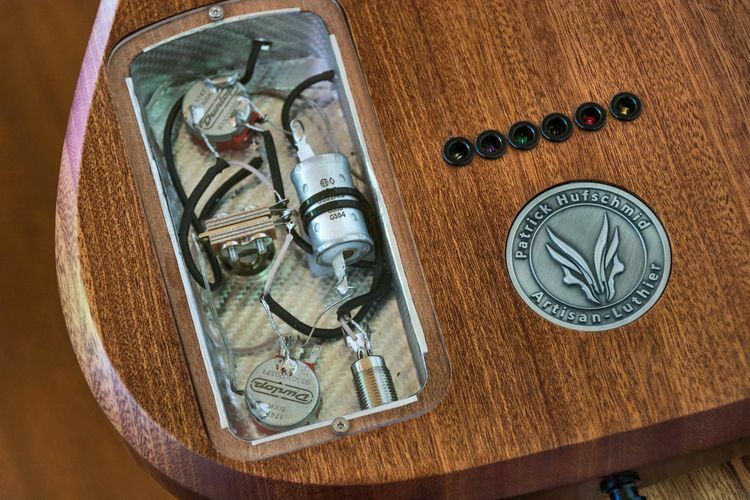 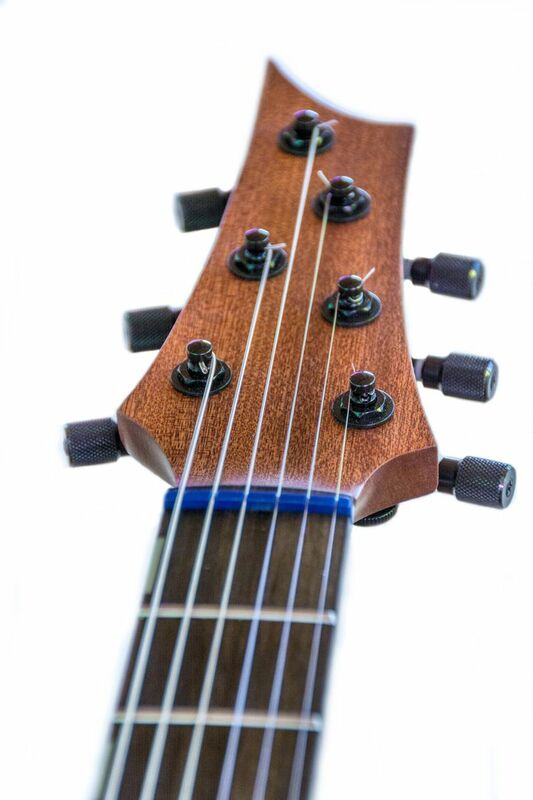 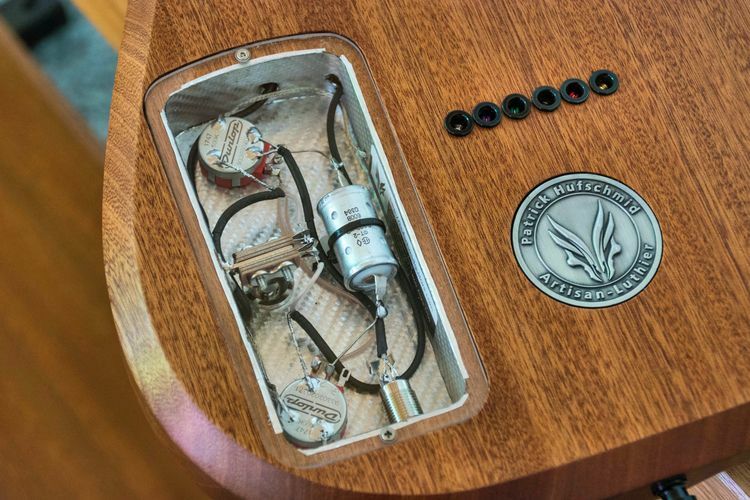 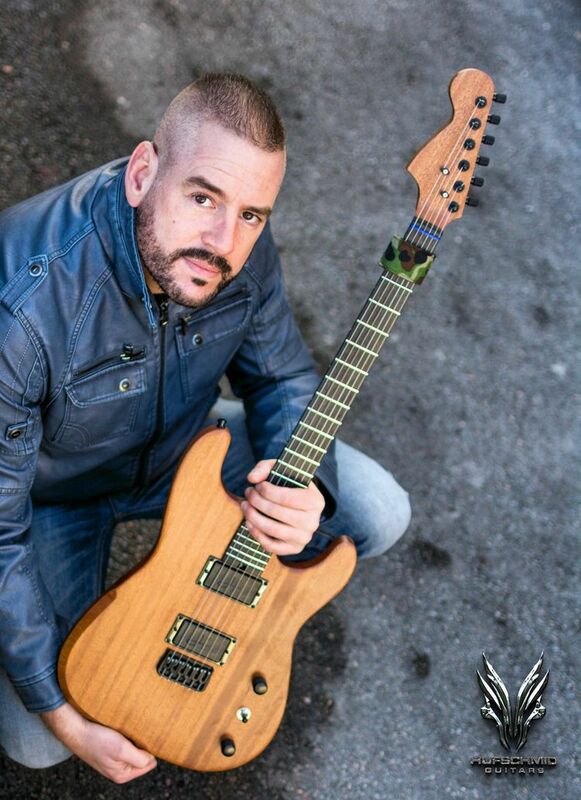 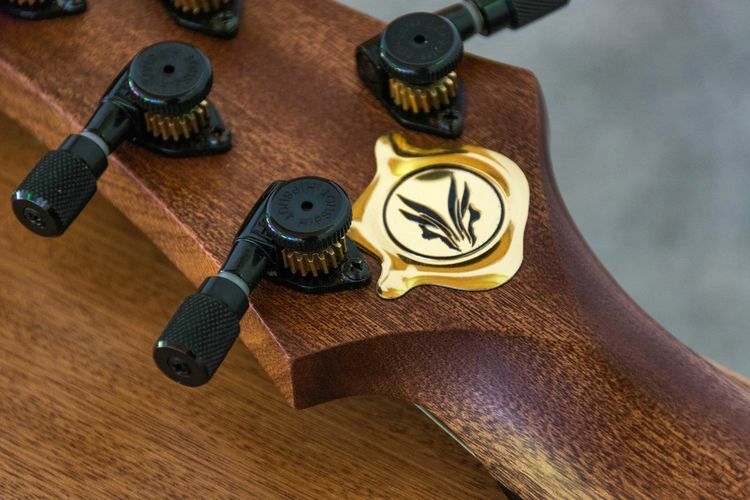 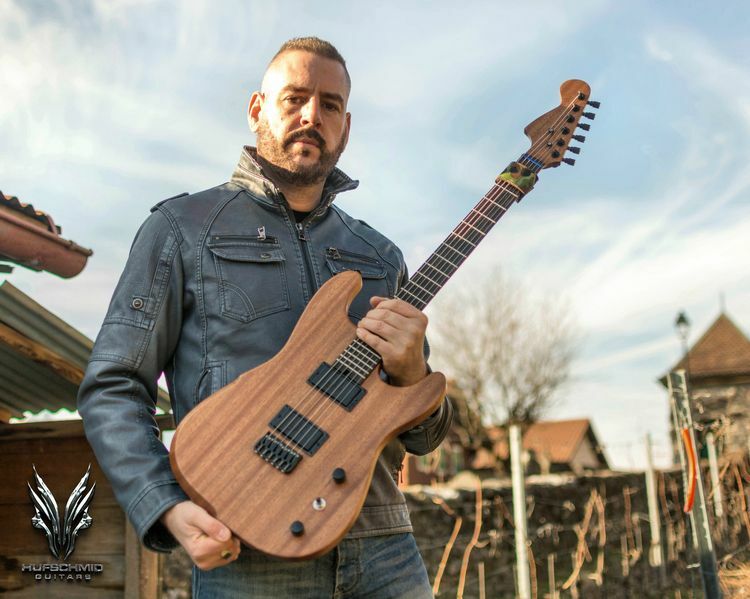 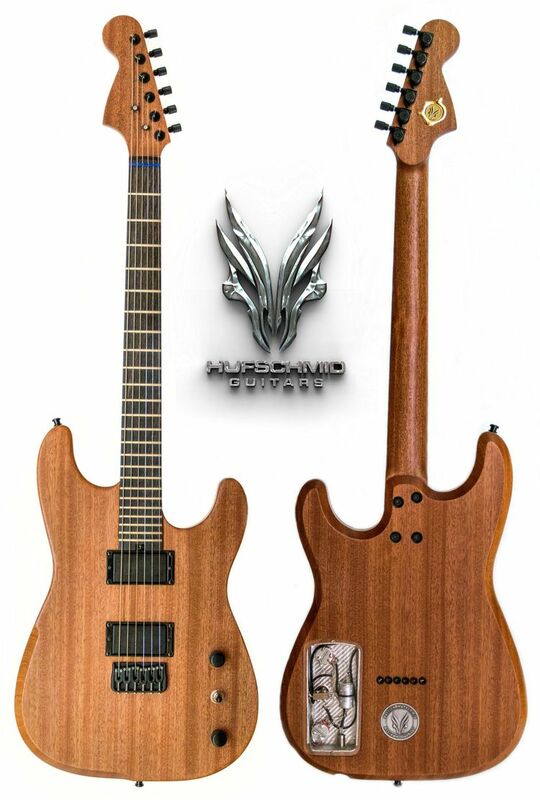 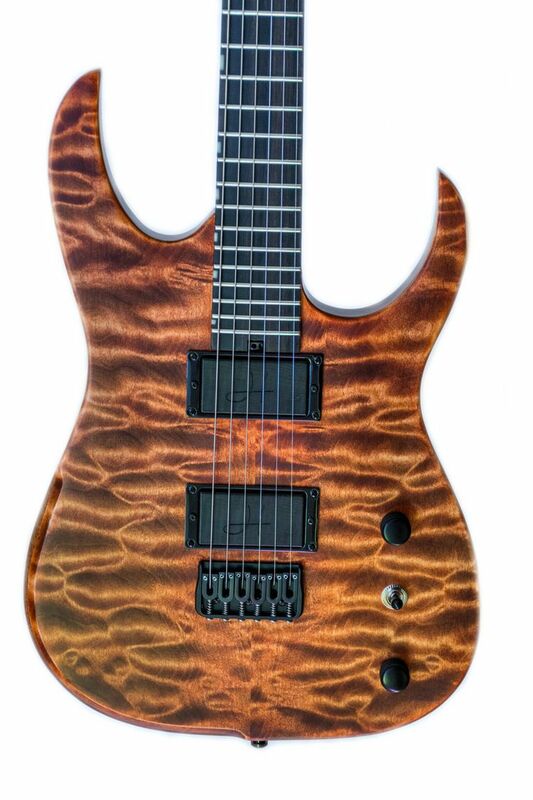 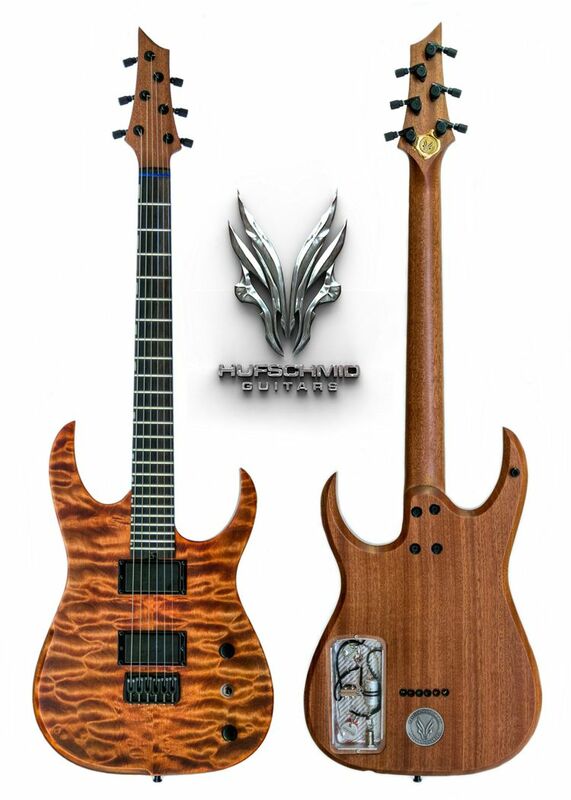 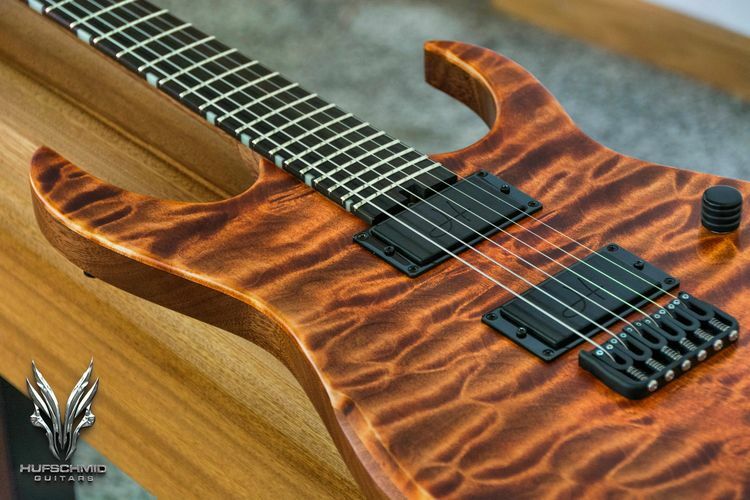 Hufschmid one piece perfectly quatersawn straight-pull and tension optimized headstock design! 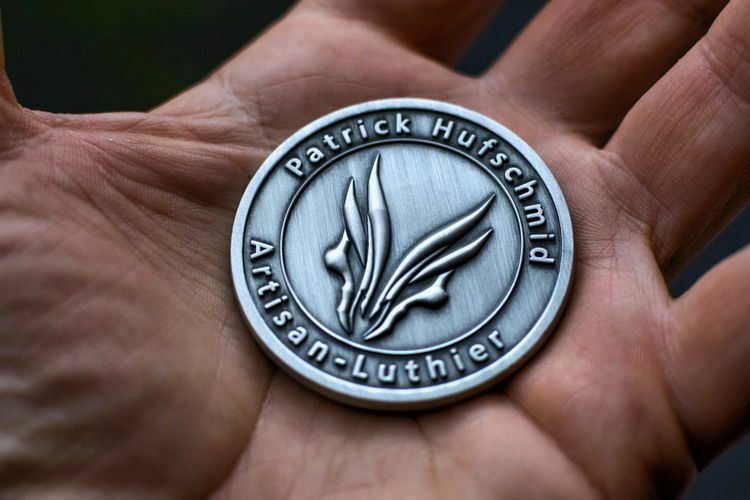 Hufschmid golden cast aluminium seal! 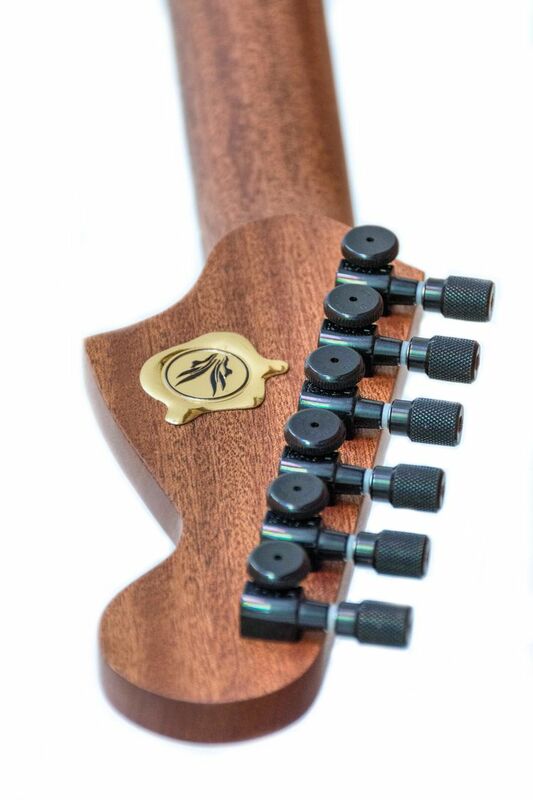 My new build, a strat inspired &apos;Helldunkel&apos; model! 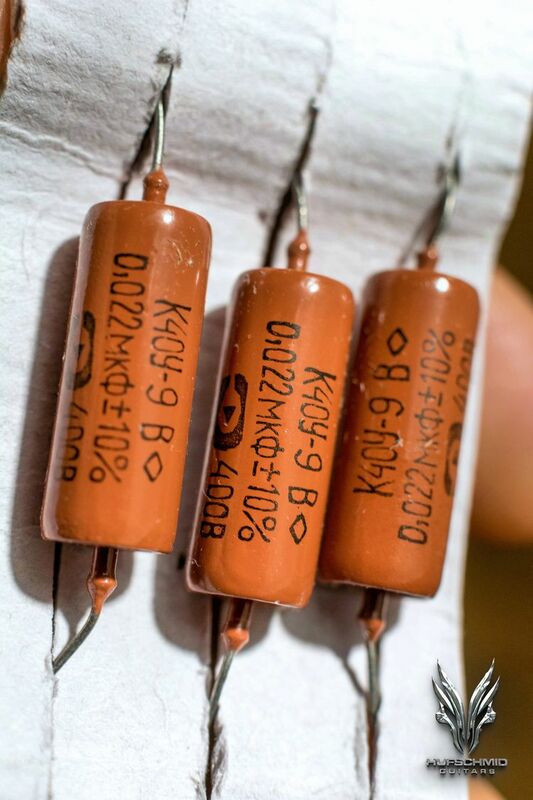 Put my hands on some very rare &apos;new old stock&apos; uniclimatic (orange) PIO K40Y-9B 0.022uF military capacitors!